You are NOT who you think you are. 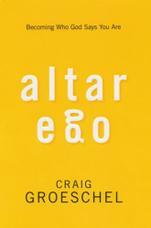 In fact, according to bestselling author Craig Groeschel in Altar Ego, you need to take your idea of your own identity, lay it down on the altar, and sacrifice it. Give it to God. Offer it up. Why? Because you are who GOD says you are. And until you've sacrificed your broken concept of your identity, you won't become who you are meant to be. When we place our false labels and self-deception on the altar of God's truth, we discover who we really are as his sons and daughters. Instead of an outward-driven, approval-based ego, we learn to live with an 'altar' ego, God's vision of who we are becoming. Discover how to trade in your broken ego and unleash your altar ego to become a living sacrifice. Once we know our true identity and are growing in our Christ-like character, then we can behave accordingly, with bold behavior, bold prayers, bold words, and bold obedience. 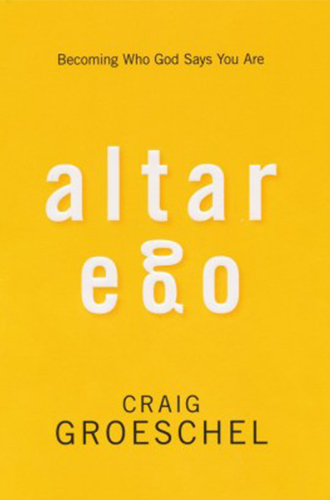 Altar Ego reveals who God says you are, and then calls you to live up to it.